I have had virtually no experience with the traditional Japanese Kaiseki dinner. 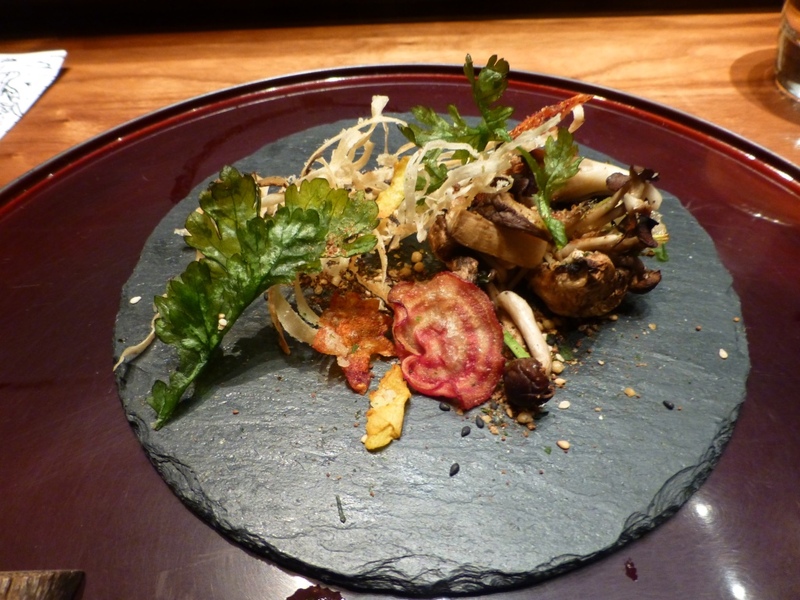 In many ways, it is conceptually similar to the modern cuisine that I have been seeking out. It is as much an art form as a type of meal, where special attention is given to balancing taste, textures, appearance and colors. Some friends had told me about a chef who had been in New York who had relocated to London. So, while planning my food itinerary for a trip to London, I used OpenTable.com to book a slot at Umu. Two days prior to my visit, I received an email asking to confirm my reservation and to notify them of any allergy or dietary restrictions, to which I did respond. The day before my reservation, I received a phone call again asking me to confirm my dinner reservation at the sushi counter. I had not specifically asked for a seat at the counter, but as long as I could order from the full menu, I would be fine. Upon arrival, they seated me in a very nice spot at the sushi counter with a full view of the food preparation. Almost immediately, a cart approached and I was asked if I wanted a cocktail or some champagne. I was then presented with the menu options. These included the Kyoto-style kaiseki menu, a sushi kaiseki menu, and a full a la carte menu. The kaiseki menu is a tasting menu with defined types of dishes at each course. The basic kaiseki set menu has five courses, with additional types of courses added at the chef’s discretion.